How fresh is your oral care knowledge? Take the Sunstar GUM Fresh Breath Quest (#FreshBreathQuest) this February to find out. 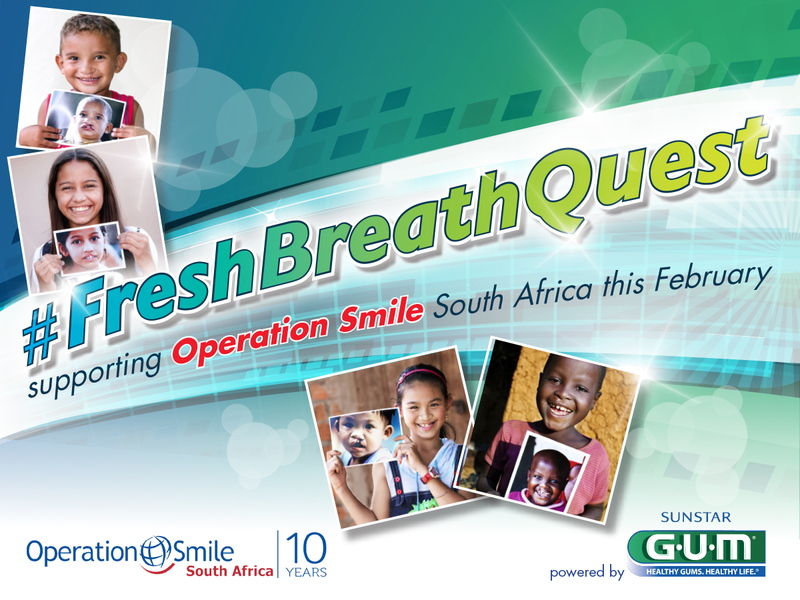 There are prizes worth over R15,000 up for grabs and for every person that completes the quest, Sunstar GUM will donate a toothbrush to Operation Smile South Africa. The main prize, valued at R10,000, includes a Tsogo Sun mini-break (worth up R7,000) and an oral care kit worth R3,000. There are also 10 Sunstar GUM fresh breath kits available (worth R539 each), packed with innovative Sunstar GUM oral care products for fresh breath and a healthy smile. To enter, go to www.ivohealth.co.za from 1 to 28 February 2017. Terms and conditions apply.